Jordan Eberle and Mathew Barzal score in the shootout to earn a much-needed two points in the playoff chase. 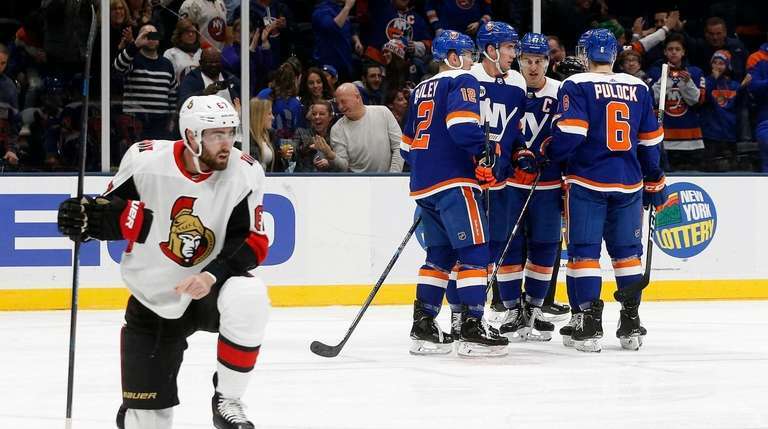 This was far from a complete return to health for the Islanders as they overcame a sluggish start but could not hold a two-goal lead in the third period against the NHL-worst Senators. 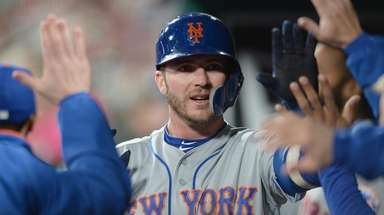 But it was a much-needed two points to start a home-and-home series, even if it wasn’t the full dose of medicine they were seeking to regain some momentum in their playoff chase. 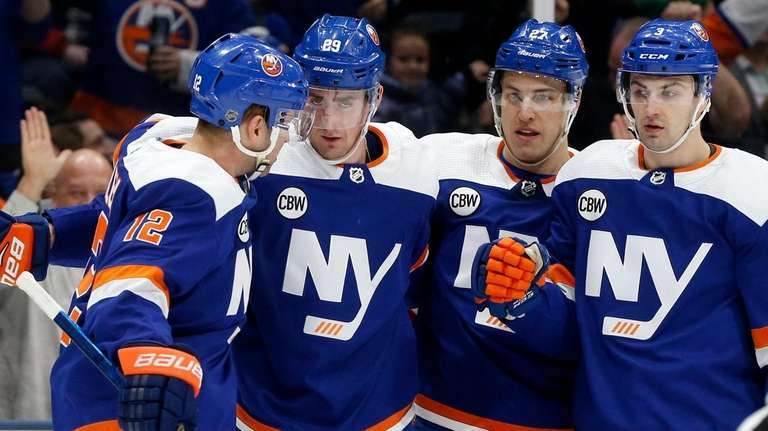 Still, the Islanders ended their homestand 2-3-0 with a 5-4 shootout win on Tuesday night over the trade-depleted Senators before a crowd of 11,445, the smallest of the season at NYCB Live’s Nassau Coliseum. The teams play again Thursday night at Ottawa. The Islanders (38-21-7), coming off Sunday’s listless 4-1 loss to the Flyers, matched the 83 points of the Capitals atop the Metropolitan Division. The Senators cut the Islanders’ lead to 4-3 at 7:38 of the third period when Zack Smith deflected the puck past Robin Lehner. Ottawa tied the score at 4 and knocked Lehner (21 saves) from the game at 15:20 of the third after Brady Tkachuk bowled him over, with Brock Nelson defending from behind, and Jean-Gabriel Pageau pushing the puck into the vacated net. Lehner was examined on the ice and relieved by Thomas Greiss (two saves) as it was initially ruled a goal, then no goal before the Senators successfully challenged. Trotz had no immediate update on Lehner. Jordan Eberle and Mathew Barzal converted in the shootout as Craig Anderson made 34 saves for the Senators (23-38-6). 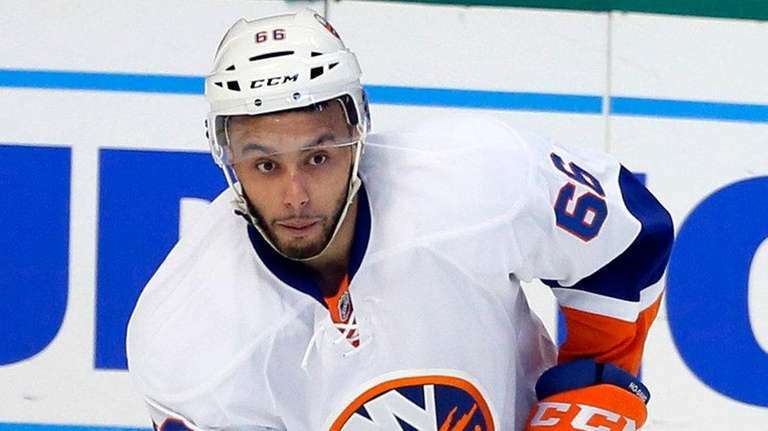 A stomach virus has ripped through the Islanders’ room and forwards Michael Dal Colle and Josh Ho-Sang were recalled from Bridgeport on an emergency basis. 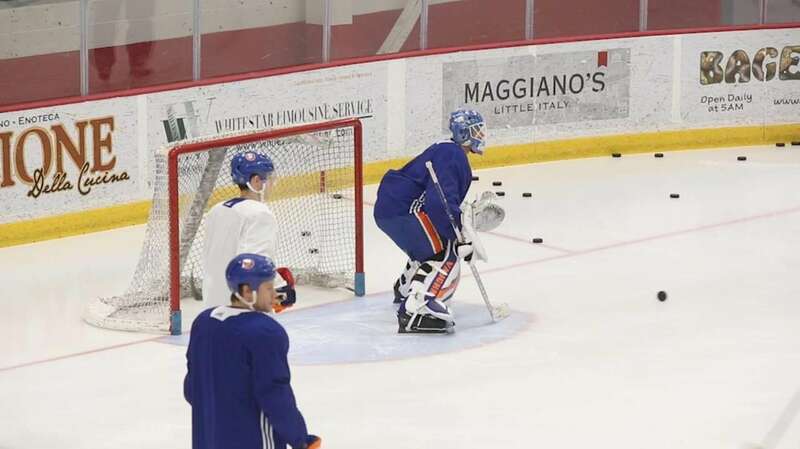 Ultimately, only fourth-line wings Matt Martin and Cal Clutterbuck, both dealing with upper-body injuries, were out, though it did force Trotz to juggle his lines and limit a recovering Casey Cizikas’ ice time. The Islanders outshot the Senators, 26-8, in a three-goal second period after Brian Gibbons tied the score at 1 just 26 seconds in. Islanders rookie defenseman Devon Toews quickly regained the lead, reaching down with his left hand to catch Dal Colle’s feed before beating Anderson at 2:34. Anders Lee’s tip made it 3-1 at 5:45 but Oscar Lindberg got behind defenseman Adam Pelech to bring the Senators within 3-2 at 6:32. Notes & quotes: Josh Bailey reached 50 points for the third straight season with his first-period assist …A moment of silence was held for Red Wings’ Hall of Famer Ted Lindsay, who died Monday at 93… Ho-Sang was a healthy scratch.